Cyber criminals are becoming increasingly sophisticated and organizations, especially those with distributed locations, need to keep pace. Pwnie Express is the leading provider of innovative sensors that assess network security risks in remote and hard to reach locations. Thousands of enterprises and government organizations worldwide rely on Pwnie Express’s products to conduct drop-box penetration testing and provide unprecedented insight into their distributed network infrastructure. Pwnie Express’s smart devices all organizations to see all the things while leveraging open source tools and platforms. 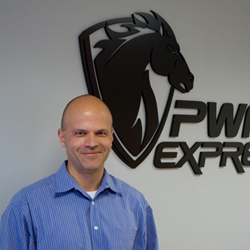 The award-winning products are backed by the expertise of Pwnie Express Labs, the company's security research arm. The company is headquartered in Boston, Massachusetts.